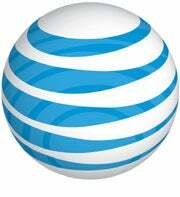 AT&T announced this week at the CTIA show in Las Vegas that it will soon make its femtocell device available to subscribers nationwide. The femtocell--which AT&T has dubbed the MicroCell--creates a mini 3G cell tower in your home or office, and leverages your existing broadband network to resolve slow or spotty 3G coverage. The MicroCell connects to your broadband network via Ethernet. Even customers in areas where there is no AT&T signal at all can use a MicroCell to create a sort of 3G hotspot. You get the benefit of a stronger, more reliable 3G connection, and AT&T gets the benefit that your 3G voice and data calls will consume bandwidth from your broadband provider rather than impacting its 3G wireless network. The MicroCells will not be available initially for customers on business plans, but many small and medium businesses use individual or family plans and could benefit from the 3G boost. The $150 investment can resolve 3G voice and data issues and ensure you always have maxed out bars on your iPhone or other 3G devices--as long as you don't go too far. Your neighbors may benefit from the fact that your 3G networking will not be consuming bandwidth on the standard 3G network, but you don't have to be concerned about unauthorized users piggybacking on your 3G MicroCell connection. The range of the MicroCell is significantly lower than an 802.11 wireless access point--more like the range of a Bluetooth connection. The 40 foot range of the 3G MicroCell is enough to cover your office or home, but not much more. Another assurance that neighbors and random strangers won't hijack your personal 3G network is that only authorized devices can connect to the MicroCell. According to an AT&T press release for the MicroCells "Customers may define up to 10 lines to have access and up to four may operate on it simultaneously. Minutes used through the MicroCell affect only the account of the phone making the call--there is no requirement to purchase separate service for the 3G MicroCell." Small and medium businesses may also be able to capitalize on the 3G MicroCell to eliminate existing VoIP or land line phone service and cut costs. The AT&T press release explains "For $19.99 a month, individual or Family Talk customers can make unlimited calls through a 3G MicroCell, without using minutes in their monthly wireless voice plan." Customers who sign up for the MicroCell calling plan at the time of purchase for the 3G MicroCell are also eligible for a $100 rebate. So, for $50 total--when all is said and done--you can improve your 3G voice and data connectivity, eliminate the need for your existing phone service, and place unlimited calls over your 3G MicroCell without impacting the minutes on your wireless voice plan. As an added bonus, users who also sign up for AT&T DSL service at the time of purchase can get an additional $50 rebate--essentially making the MicroCell free. There are certainly benefits for consumers, and for small and medium business customers. But, AT&T will be the real winner if customers embrace the MicroCells. Users that invest in the MicroCells will have improved 3G connectivity, reducing the number of complaints AT&T will receive from those users. At the same time, the more users adopt the MicroCells, the lower the strain will be for the rest of AT&T's customers as well, and the fewer criticisms it will have to face about its unreliable 3G network. From that perspective, it seems like AT&T should give away the MicroCells. It's a pretty neat trick to get subscribers to pay for a device that delivers the 3G service they should have had to begin with, and simultaneously lower the number of complaints and support calls from other subscribers, and reduce the need for AT&T to invest in its own network infrastructure. AT&T will most likely expand access to the femtocell technology to business customers as well at some point, or make use of the MicroCells to create 3G public hotspots in areas where there is unreliable, or no AT&T 3G service.